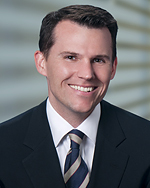 Brad Grabske specializes in real estate and complex business litigation. His practice is focused on assisting landowners, businesses, and public agencies with eminent domain, inverse condemnation, contract disputes, land use and environmental issues. Mr. Grabske has successfully represented clients in high stakes trials and before the Court of Appeals. Mr. Grabske has also been recognized as a “Rising Star” in Los Angeles magazine’s Southern California Super Lawyer edition. Mr. Grabske’s eminent domain experience includes total and partial takings, inverse condemnation, loss of business goodwill, precondemnation delay, environmental contamination issues, emission permitting issues, access impairment, and right-to-take challenges. Mr. Grabske also assists clients with California Environmental Quality Act (“CEQA”) and National Environmental Policy Act (“NEPA”) matters. Mr. Grabske is actively involved in several industry organizations, including the International Right of Way Association (“IRWA”) where he has been a speaker at several local and national IRWA conferences. He also recently co-authored a chapter on condemnation for the American Bar Association’s expert-witness treatise entitled Litigators on Experts: Strategies for Managing Expert Witnesses from Retention through Trial. Prior to attending law school, Mr. Grabske worked in Washington, D.C. in positions on Capitol Hill and in the business lobbying community. Mr. Grabske served as a Congressional Affairs Representatives for the United States Chamber of Commerce and as the treasurer of the Chamber’s Political Action Committee. Mr. Grabske received both his B.A. and J.D. from the University of Southern California. Los Angeles County Metropolitan Transportation Authority v. Gillis Family Partnership – Represents the Gillis family against the Los Angeles County Metropolitan Transportation Authority (“Authority”) in connection with the Authority’s taking of a building owned by the Gillis family in Century City. Before being displaced, Gillis also operated a cutting edge medical laboratory in the building. The Authority initially offered $41,416,650 for the building and improvements. In early 2018, Murphy & Evertz earned an award of $53,503,000 for the building and improvements. Claims for loss of business goodwill remains outstanding. Southern California Edison Company v. J.W. Mitchell Land Company, LLC – Represented J.W. Mitchell Land Company in connection with SCE’s acquisition of property interests for its Falcon Ridge Substation Project in the City of Fontana. SCE’s initial offer was $462,000. Shortly before trial, SCE agreed to pay J.W. Mitchell Land Company $1,833,000. SCE also agreed to modify the scope of its taking to lessen the impacts of the Project on the remaining property owned by J.W. Mitchell Land Company. Caltrans v. Javad N. Sani, M.D., & Parvin Nahvi, M.D. – Represented owners of three ocean- and pastoral-view parcels totaling 13.47 acres off Highway 1 in San Simeon. Caltrans sought to condemn portions of two of the three parcels for its State Route 1 Realignment Project. Caltrans initially offered $2,073,800. It later valued total compensation for the part takes at $4,000,200. Caltrans ultimately agreed to pay $6,440,000 for full takes of two of the parcels, preserving the owners’ ability to seek compensation for the taking of, and damages to, the third parcel. City of Lake Forest v. Alexander S. Rados, Trustee – Represented the landowner in an eminent domain action brought by the City of Lake Forest. The City condemned a little over 13 acres for a new sports park. The city valued just compensation for the expert exchange at $6.665 million. The case settled prior to trial for $15.4 million. Caltrans v. ARAMARK Uniform & Career Apparel, LLC – Represented ARAMARK in an action brought by Caltrans to acquire one of ARAMARK’s key market centers for the I-215 widening project. Caltrans’ initial offer was $1,881,000. The case settled prior to trial for $4,500,000. City of Victorville v. First Assembly of God of Victorville, et al., – Represented the church in an eminent domain action brought by the City to acquire property for its Nisqualli Interchange Project. The property taken included the primary driveway that provided access to the Church along with the front line of parking spaces. The City’s appraiser valued the taking at $436,000. the case settled with the City agreeing to pay $2.5 million, together with land use entitlements for new electronic reader boards, a counseling center, baseball field improvements and parking. Fresno Unified School District v. International church of the Foursquare Gospel, et al. – Represented the denomination and a local Fresno congregation and its Pastor against the District. The District sought to condemn the property for a new elementary school. The District initially offered $410,000. The case settled for total just compensation of $1,350,000. Orange County Transportation Authority v. Cinnamon Tree Homeowners’ Association – Represented a homeowners association in an action brought by the OCTA. The OCTA’s pre-litigation offer was $525,000. The case settled before trial for $1,100,000. City of Fontana v. Requip Corporation – Represented Requip, a large construction-equipment broker, in an action by the City of Fontana to acquire a portion of Requip’s property for a freeway overpass project. The City’s pre-litigation offer was $916,000. The case settled before trial for $1,671,000. Caltrans v. Steiny & Co. – Represented Steiny & Co. (and its owners) in an action brought by Caltrans to acquire portions of Steiny’s property in Baldwin Park for the I-10 widening. Caltrans’ initial offer was $151,000. The case settled prior to trial for $600,000. Pacific Newport Properties v. Canam Metal Products, Inc. – Represented real estate developer/landowner against Canam Metal Products and its officer/shareholder in a breach of commercial lease action. Mr. Grabske successfully secured a $376,000 judgment — including attorneys’ fees — against the corporate entity and the sole officer/shareholder. Berryman v. Merit Property Management, Inc. – Represented a large property management company in a class action filed by homeowners alleging violations of the Davis-Stirling Common Interest Development Act, Unfair Competition Law (UCL), Consumer Legal Remedies Act (CLRA), and other claims. After extensive law and motion, we succeeded in having the case dismissed at the pleading stage. The Court of Appeal upheld the dismissal in a published decision. The California property management industry viewed the decision as a major victory. Superior Coating v. Los Angeles Unified School District – Represented school district in action brought by business alleging inverse condemnation, trespass, nuisance, violation of civil rights, among other claims with a multi-million dollar claim for damages prayer for relief. Mr. Grabske was successful in having the court dismiss the case at the pleading stage. Mr. Grabske also handled the briefing and oral argument on the landowner’s appeal. The Court of Appeal upheld the trial court’s dismissal in favor of the school district. Appellate Decision: Superior Coatings v. Los Angeles Unified School District, et al., (2012) WL 3608621 [nonpub. opn.]. Los Angeles Unified School District – Mr. Grabske was successful in having several claims regarding compliance with the California Environmental Quality Act (“CEQA”) dismissed on demurrer. Los Angeles Unified School District – Represented LAUSD concerning “grandfathered” paint booths and restrictions on emissions of volatile organic compounds from a furniture manufacturing facility located adjacent to a new high school. the matter involved claims of lost business goodwill, precondemnation damages and relocation. defendants asserted claims in excess of $80 million. Successfully reached a favorable settlement for LAUSD. Riverside County Flood Control and Water Conservation District v. RCM Capital Partners– Represented the District in an action to acquire property in Old Town Temecula for the Murrieta Creek Flood Control and Environmental Restoration and Recreation Project. Property owner’s claimed total compensation of $1,625,000. After a successful legal issues trial, the District reached a favorable settlement involving payment of $325,000, plus transfer of property of nominal value. Riverside County Facilities Management – Provide counsel and assist the Facilities Management Department with the condemnation required to develop county facilities. Riverside County Flood Control and Water Conservation District – Provide counsel and assist the District with the condemnation required to expand its flood control facilities and to develop new flood control projects. Residents Against Specific Plan 380 v. County of Riverside, (2017) E063292, Court of Appeal, Fourth Appellate District, Division 2, California. Creed – 21 v. City of Moreno Valley (2016) WL7387287 [non pub. opn. ], Court of Appeal, Fourth District, Division 2, California. Superior Coatings v. Los Angeles Unified School District, et al. (2012) WL 3608621 [nonpub. opn. ], Court of Appeal, Second District, Division 3, California. William Berryman v. Merit Property Management, Inc., (2007) 152 Cal. App. 4th 1544; 62 Cal. Rptr. 3d 177. CREED-21 v. City of Moreno Valley (Aldi, Inc.); CUMV v. City of Moreno Valley – Representation and defense of the City of Moreno Valley and Aldi, Inc. in two CEQA actions challenging the City of Moreno Valley’s approval of Aldi’s 800,000 SF refrigerated warehouse and distribution center. Aldi, Inc. is a world-wide grocery chain and the project will serve as its southwestern regional headquarters and distribution center for 150 new grocery stores. The project involves several approvals including an amended Plot Plan and Addendum to the previously approved Westridge Commerce Center EIR. John Boyd Designs, Inc. v. Los Angeles County Unified School District – Recent representation and defense of the Los Angeles Unified School District (“LAUSD”) against a CEQA action challenging its South Region High School District No. 12. The matter was dismissed by petitioners following a demurrer filed by LAUSD. International Right-of-Way Association Chapters 57 and 67. Speaker, “Navigating Condemnation of Indian Land”, 18th Annual National Indian Realty Awards Program, Brea, CA, February, 2016. Speaker, “Dos And Don’ts During The Pre-Litigation Process”, CLE International Eminent Domain Conference, San Diego, CA, March, 2015. Speaker, “What’s Wrong With The Law of Valuation in Eminent Domain? : Four Rules We Need To Change Now”, American Law Institute National Eminent Domain Conference, San Francisco, CA, February, 2015. Speaker, “Developments in the Eminent Domain Law Across the Country and Around the World,” IRWA Annual International Eminent Domain Conference, Atlanta, GA, June 2011. Speaker, “2019: Two Visions of the Next Ten Years in Eminent Domain and Public Acquisitions,” IRWA Chapter 57 Education Seminar, Corona, CA, October 16, 2009. Speaker, “Clear, Simple, and Wrong? The Rules on Environmental Contamination in Eminent Domain,” IRWA Chapter 57 Meeting, Riverside, CA, October 7, 2009. Speaker, “Implications of the Berryman v. Merit Property Management, Inc. decision,” California Association of Community Managers (CACM) annual Law Seminar, San Francisco, California, February 2008. Co-Author, “Eminent Domain Action Proceeds Despite CEQA Violations,” Los Angeles Daily Journal, (May, 2013). Co-Author, “Golden Gate Land Holdings, LLC v. East Bay Regional Park District: Chick Hearn And The Intersection Between Eminent Domain Law And CEQA,” Murphy & Evertz E-Alert (April, 2013). Co-Author, “Superior Coatings Inc., v. Los Angeles Unified School District: Much Ado About Nothing“, Murphy & Evertz E-Alert (September 2012).